The Allahabad High Court held that Courts cannot impose upon the State a particular policy for imparting any form of religious instruction or education about religion and it is for the Parliament or the concerned legislative assembly that has the competence to do so. In a strong worded Judgment, Justice GS Patel of Bombay High Court has denounced the ‘recent’ trend of persons approaching Courts on eleventh hour, with a view to stall release of Movies, claiming that its director or producer has plagiarized his or her ‘creative work’. The Calcutta High Court held that, no separate “Crooners licence” is needed for live performers/crooners in hotels/bars/restaurants which has valid licences under the Bengal Excise Act to carry on live performances in their establishments. The Calcutta High Court has adopted a “pragmatic” approach towards condonation of delay on the part of state observing that deliberate lapses and inaction on the part of the officers of the State cannot be a ground to sacrifice justice. The Court observed that Corporation as such is not responsible for the delay but its officers/agents. Delhi High Court issued notice to Ministry of Human Resources Development and Ministry of Law and Justice in a Public Interest Litigation seeking to provide common syllabus and common curriculum to all the children aged 6-14 years in spirit of the Article 21A read with Article 14 and 15 of the Constitution of India. The High Court asked the state of Uttar Pradesh to expedite disbursement of compensation to the Victims of Hashimpura massacre. On Wednesday, the High Court stayed the New Delhi Municipal Council (NDMC) drive under the Smart Cities initiative to demolish community waste bins or Dhalaos. The case was argued by Mr. Prashant Bhushan on behalf of All India Kabadi Mazdoor Mahasangh (AIKMM), a Delhi based union of waste workers filed by advocate Shakti Vardhan and Amiy Shukla. The Court recently held that if cross examination of a witness is concluded by a counsel upto best of his capability, subsequent change of counsel by a party would not confer any right on him/her to recall the witness for further cross examination or to fill up the lacuna, if any, left. The High Court answering an ‘interesting question’ about ‘child custody’ proceedings, held that a spouse who seeks custody of the children by moving a petition under Section 25 of the Guardians and Wards Act and obtains interim orders cannot withdraw the proceedings and continue to take benefit of the interim orders. In such an event, the Court held, that the other spouse can seek to be transposed as the petitioner. Gujarat High Court on Tuesday partly quashed a Government ordinance abolishing NRI quota in colleges offering medical courses in the State. The Bench upheld the Ordinance to the extent that it abolished quota for “dependent” NRIs. It however quashed the Government’s decision to cancel quota for “genuine” NRIs seeking admission in colleges in the State. The High Court upheld the provision prescribing minimum qualifying marks of 40% in viva-voce conducted for direct recruitment to the cadre of District Judge and Civil Judge. The Kerala High Court speaking through Justice Hariprasad in PorathisseryGrama Panchayath v Anthony & another ruled that a Panchayath is duty bound to pay compensation to victims who had been affected by the menace of stray dog bites.The court further laid much emphasis on the statutory duty of Panchayath to cull/kill the stray dogs in the greater interests of general public. The High Court admitted a writ Petition filed by Advocate Advocate P.B Sahasranaman challenging the decision of High Court rejecting his application for senior designation. Issuing a stern message to litigants who ‘compete with Kumbhakarna and Rip Van Winkle’ in the matter of delays and latches, the Madras High Court observed that Courts are not expected to give indulgence to indolent litigants. The High Court recently rejected a Lawyers plea challenging classical language status conferred to Telugu, Kannada, Malayalam and Odiya. The Court said that it does not find any reason to interfere with such declaration. The High Court recently emphasized on the importance of pre-marital examinations and observed that it is for the Centre and the States to sensitize people about the importance of the same. The Court, in a recent order, observed that the concerns like old age of the accused and long distance travel difficulty are not a valid ground for transferring a criminal case. The Patna High Court in KALENDAR KUMAR @ KALENDRA KUMAR VS. STATE OF BIHAR, observed that Cousin of a deceased cannot be said to be an aggrieved party and he has no right to file an appeal under Section 372 of Code of Criminal Procedure. 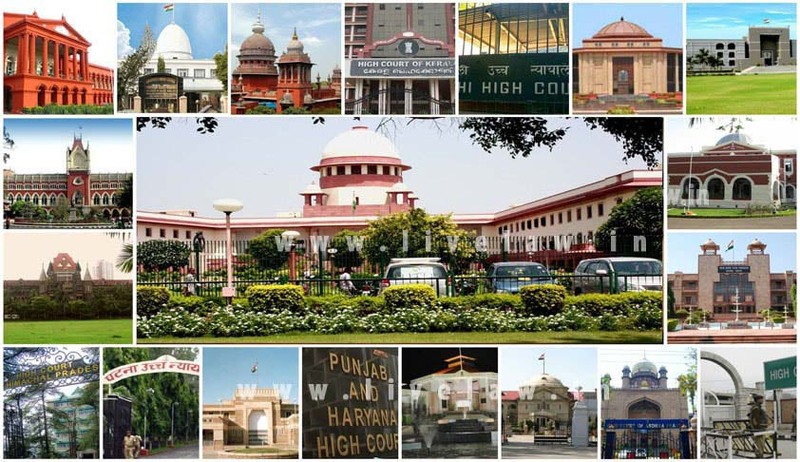 The Punjab and Haryana High Court on Tuesday ruled that the superannuation age for teachers of Punjab University and its affiliated colleges cannot be increased from 60 to 65 years, unless the Centre officially declares it a centrally funded university. In a major blow to Government of Punjab, the High Court held that Parliamentary Secretaries are in the nature of Junior Ministers and their appointments amount to infraction of the provisions of Article 164 (1A) of the Constitution.